(Francisco Kjolseth | The Salt Lake Tribune) Carl Rupp, founder of Snowie, talks about the changes he has made since starting his first shaved ice business 41-year-ago, and how he continues to refine and create new machines and mobile units to deliver the sweet frozen ice treat. (Francisco Kjolseth | The Salt Lake Tribune) Snowie, a 41-year-old Utah company, hosts its 6th Annual Snowie Summit for two days starting on Thursday, Feb. 28, 2019. About 150 people from across the country learned about what's new in the shaved ice business, including developments in flavors which of course includes Tiger's Blood, the favorite among customers. 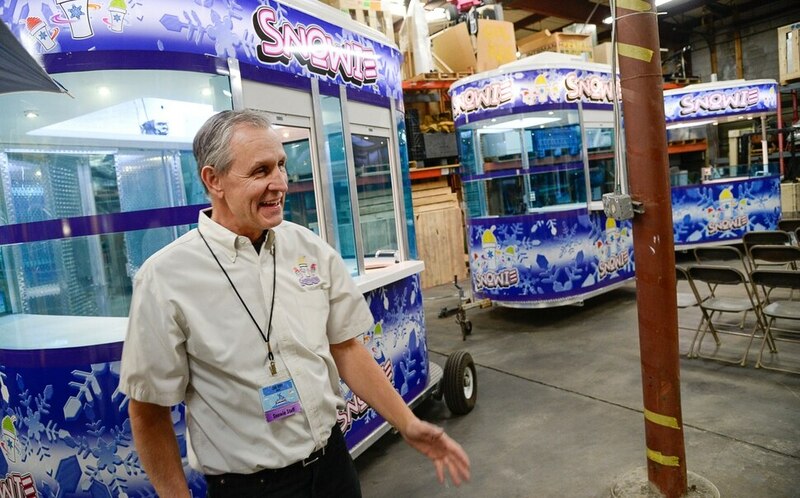 (Francisco Kjolseth | The Salt Lake Tribune) Buses, kiosks, buildings and carts were on display for Snowie, a 41-year-old Utah company, hosting its 6th Annual Snowie Summit for two days starting on Thursday, Feb. 28, 2019. About 150 people from across the country learned about what's new in the shaved ice business. (Francisco Kjolseth | The Salt Lake Tribune) Snowie, a 41-year-old family owned Utah company, hosts its 6th Annual Snowie Summit with founder Carl Rupp, below, joined in business with his brothers Aaron, Gordon and Lyle, from left, as they pile into one of their many mobile buildings. Carl started his first shaved ice idea at the age of 21 with the Sno Shack which he built and placed at 4700 South and Redwood Rd, back in 1978. (Francisco Kjolseth | The Salt Lake Tribune) Snowie, a 41-year-old Utah company, hosts its 6th Annual Snowie Summit as about 150 people from across the country learn what's new in the shaved ice business. (Francisco Kjolseth | The Salt Lake Tribune) Carl Rupp, founder of the original Sno Shack back in 1978, shows off a picture of the first building he built and placed at 4700 South and Redwood when he was 21-years-old. Now, 41 years later and after losing it all and starting all over again half way through with Snowie, the shaved ice business has become an expanded family affair as he continues to tinker and create new ideas along with several brothers. (Francisco Kjolseth | The Salt Lake Tribune) Snowie, a 41-year-old Utah company, hosts its 6th Annual Snowie Summit for two days starting on Thursday, Feb. 28, 2019. About 150 people from across the country learned about what's new in the shaved ice business. (Francisco Kjolseth | The Salt Lake Tribune) Sisters Jurrii Barrett, left, and Jennii Buendia, 15-year owners of Snowie shaved ice products they use for their business back home in Oklahoma, sample new flavors during the 6th Annual Snowie Summit in Salt Lake recently. About 150 people from across the country learned about what's new in the shaved ice business. (Francisco Kjolseth | The Salt Lake Tribune) Sisters Jurrii Barrett, left, and Jennii Buendia, 15-year owners of Snowie shaved ice products in Oklahoma, learn about new products and repair support from Callie and Gordon Rupp, members of the family owned business during a recent Snowie Summit at the headquarters in Salt Lake City. (Francisco Kjolseth | The Salt Lake Tribune) Aaron Rupp, gives Sharia Ballard of Houston a few tips as she uses a Snowie machine to fill a cup with shaved ice in a mater of seconds during the 6th Annual Snowie Summit. About 150 people from across the country learned about what's new in the shaved ice business as Ballard was looking to invest in a mobile building and start her business back home. (Francisco Kjolseth | The Salt Lake Tribune) Buses, kiosks, buildings and carts were on display for Snowie, a 41-year-old Utah company, hosting its 6th Annual Snowie Summit for two days starting on Thursday, Feb. 28, 2019. About 150 people from across the country learned about what's new in the shaved ice business. (Francisco Kjolseth | The Salt Lake Tribune) Dan Sher, President of State Fair mini donuts, offers samples of his pre-made donuts that just need a quick warm up as an alternative to pair up with vendors of Snowie shaved ice. Snowie, a 41-year-old Utah company was hosting their 6th Annual Snowie Summit to talk about what's new in the shaved ice business along with vendors of donuts and waffles as a good way to expand business when the temperature outside might favor a warmer option. (Francisco Kjolseth | The Salt Lake Tribune) Dan Sher, President of State Fair mini donuts, offers samples of his pre-made donuts that just need a quick warm up as an alternative to pair up with vendors of Snowie shaved ice. Snowie, a 41-year-old Utah company was hosting their 6th Annual Snowie Summit to talk about what's new in the shaved ice business along with vendors of donuts and waffles as a good way to expand business when the temperature outside might favor a warmer option. (Francisco Kjolseth | The Salt Lake Tribune) Michael Chalon, founder and CEO of Le Waf, the artisan waffle, offers samples that pair up well with Snowie, a 41-year-old Utah company as it hosts its 6th Annual Snowie Summit for two days starting on Thursday, Feb. 28, 2019. 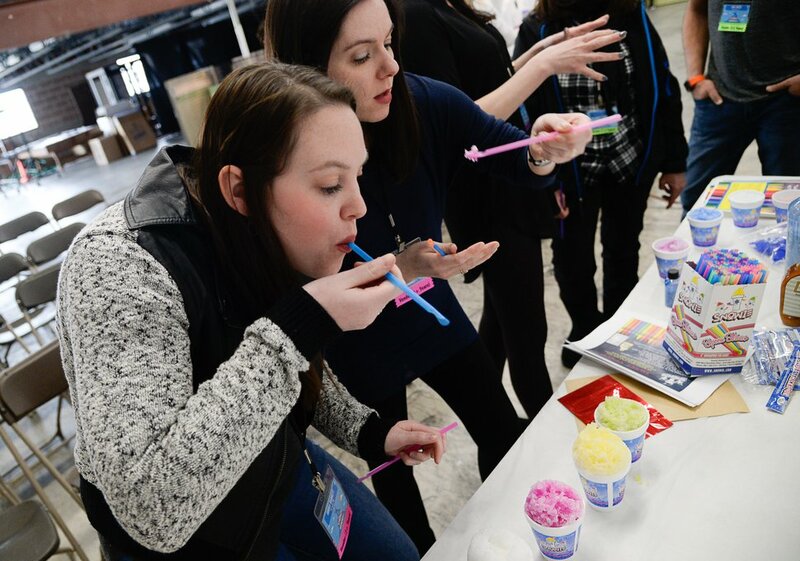 About 150 people from across the country learned about what's new in the shaved ice business along with a couple warm products that help shaved ice vendors expand their business. (Francisco Kjolseth | The Salt Lake Tribune) Stela Rup uses one of Snowie's signature machines to quickly fill a cup with shaved ice during a recent Snowie Summit at the headquarters in Salt Lake City for people from across the country interested in learning about what's new in the shaved ice business. Carl Rupp first tasted shaved ice while on a mission for The Church of Jesus Christ of Latter-day Saints. Every day, Rupp would see a crowd of people outside a tiny shack near his St. Louis apartment and wonder what the fuss was about. It was so different than the snow cones he remembered, where the ice was crunchy and the flavoring pooled in the bottom of the paper, cone-shaped cup. Since that day in 1979, Rupp — along with his brother Gordon and other extended family — have made Utah a hub for the sweetest “snow” on Earth. 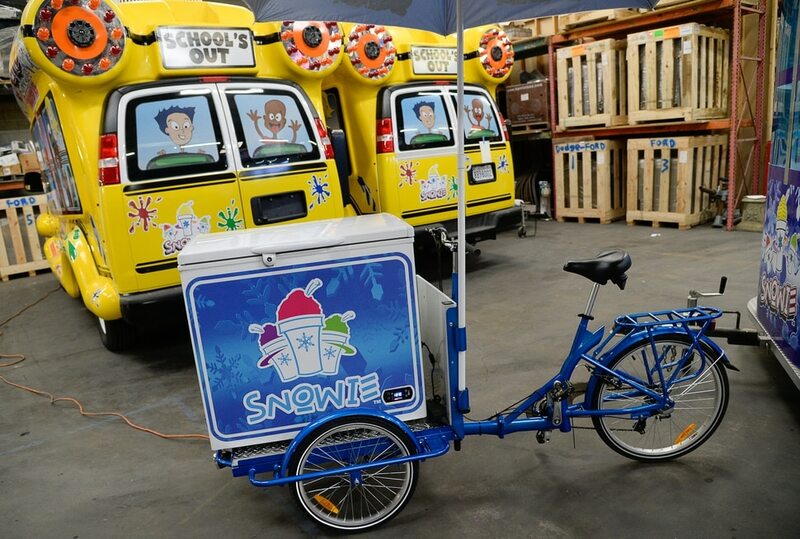 Snowie, their Utah-based business, sells everything a person would need to run a shaved ice operation — from small, medium and large ice shavers to nearly 100 flavored syrups to fiberglass kiosks and colorful food trucks. The company sells its products in all 50 states and more than 50 countries and estimates that 190 million shaved ice cups have been sold using the Snowie shavers. 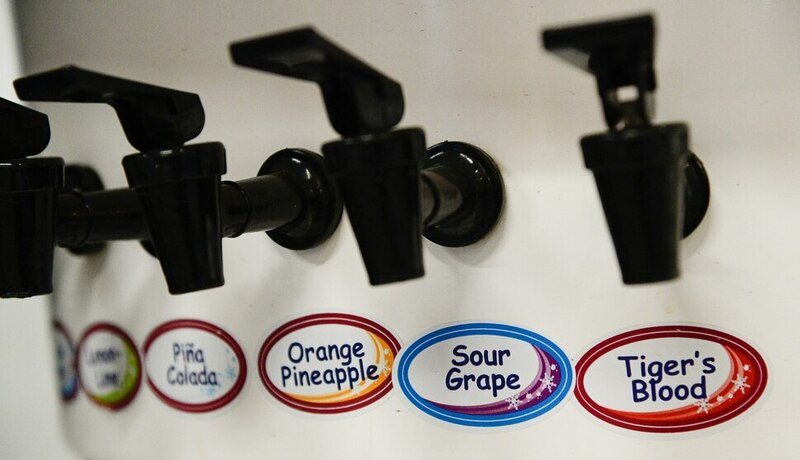 It is one of several shaved ice companies based in Utah, along with Tropical Sno, another family-run business that opened in 1984; and Hokulia, which sells ice shavers, concentrated syrups and other products worldwide. March and April are a busy time for those in the business, said Rupp, as vendors prepare for the season that runs between May and September. Last week, more than 150 people attended the sixth annual Snowie Summit at the company headquarters. Attendees learned about the newest shaved ice products, how to improve their social media marketing skills and how to extend their businesses into the offseason by selling hot chocolate or doughnuts. People from all walks of life — from teachers to college students to retired military personnel — operate shaved ice stands as a way to supplement their income. Depending on the location, and how well the shaved ice stand is operated, the seasonal business actually can bring in a full-time salary. Food historians say “shave ice” dates back to seventh-century Taiwan. Japanese immigrants brought it with them to Hawaii when they came to work in the sugar plantations. (Francisco Kjolseth | The Salt Lake Tribune) Sisters Jurrii Barrett, left, and Jennii Buendia, 15-year owners of Snowie shaved ice products they use for their business back home in Oklahoma, sample new flavors during the sixth annual Snowie Summit in Salt Lake recently. About 150 people from across the country learned about what's new in the shaved ice business. Before they started their shaved ice business in Oklahoma, Jurrii Barrett and Jennii Buendia researched various companies and decided Snowie ice shavers and flavorings were the best. He said Snowie customers can invest as little or as much as they want, purchasing just a shaved ice machine or going big with syrups, cups, spoons and a kiosk on wheels. Businesses don’t have to use the Snowie name, but if they do, they are required to also buy the company flavors, which the owners believe are superior to their competitors. Currently, 6,000 customers operate under the Snowie brand and another 10,000 buy Snowie products, but use their own name or brand. Carl Rupp, now 61, never imagined such a career when he returned to Utah from his church mission and started his shaved ice business. “I always thought I’d own my own welding shop,” he said. A “mechanical genius,” according to his siblings, he built a small wooden hut and placed it in the parking lot of the grocery store near his home on Redwood Road and 4700 South. He called it the Sno Shack, selling cups of shaved ice for 50 cents, 75 cents and $1. On a hot summer day, he easily collected $500. Friends and acquaintances saw his success and asked if they, too, could set up a Sno Shack in their neighborhood. Born to tinker, Rupp built more huts, designed ice shavers and spent hours mixing new flavors and delivering them to the different shacks. When he tired of building and painting the wood shacks, he constructed self-contained fiberglass kiosks on wheels. It took years, but he got clean and 21 years ago in February — with the financial backing of brother Gordon — they started Snowie. Rupp said Snowie has been able to attract customers by always evolving. Snowie’s newest shaved ice machines can fill a regular cup in less than five seconds — which means customers are served faster. That’s important, he said, at events like college football games, where hundreds of customers need to be served during halftime. The company also has a new line of syrups with 60 percent less sugar and no artificial colors or flavorings. Before it launched the new natural line, which includes 29 flavors, it tested the products on Utah customers at the Downtown Farmers Market at Pioneer Park and the Utah Arts Festival. The company’s latest offering is the Little Snowie 2, a shaved ice machine for home use. It sells for about $200 on Amazon and other big-box stores. So far, about 60,000 units have been sold.